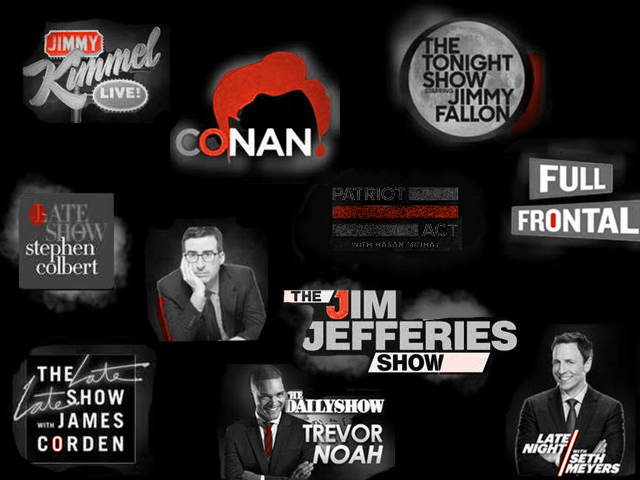 This week, we’re going to start our late night comedy highlights on Tuesday. It’s a full night of comedy all across the networks and there’s enough highlights on Tuesday night alone to fill the entire week. Also on Tuesday on Jimmy Kimmel Live, Jimmy K welcomes Abbi Jacobson and Ilana Glazer as they prepare for the premiere of the 5th and final season of their Comedy Central series, “Broad City.” The last season debuts Thursday, January 24th at 10pm on CC. However, this isn’t even close to the end of the relationship between the comedy network and the powerhouse comedy team of Jacobson and Glazer. Comedy Central has already put into development three new series from the “Broad City” creators. To find out what’s next for Abbi and Ilana, check out JKL on Tuesday night. Wrapping up Tuesday, be sure to set your DVR to record Seth Meyers because you don’t want to miss Janelle James performing stand up on Late Night. Janelle James has been one of the hottest comedians working today and recently just took over the Brooklyn comedy tradition known as the “Eugene Mirman Comedy Festival” which ran for 10 years in the outer-borough. The festival was placed in the very capable hands of Janelle who inaugurated the first annual “Janelle James Comedy Festival” at the Bell House in Brooklyn this past December. Janelle has been seen and heard everywhere and made every list there is to make in comedy. She’s been on “The Comedy Lineup” on Netflix, Comedy Central, and “Crashing” on HBO. Wednesday is just as stacked as Tuesday night is for late night comedy with Pete Holmes on the Late Show to talk about the new season of “Crashing” on HBO, Joel Kim Booster performing stand up on the Late Late Show, Jim Gaffigan on Late Night with Seth Meyers and Jimmy Kimmel hosting another fabulous female comedy team on Wednesday night with Lily Tomlin & Jane Fonda visiting JKL to discuss the upcoming 5th season of “Grace and Frankie” which launches this Friday, January 18th on Netflix. Plus, for even more talk show comedy on Wednesday night, be sure to check the full listings below. Finally this weekend, two very funny late night shows are back live. First, the 2019 season of Real Time with Bill Maher premieres live at 10pm on HBO, then on Saturday, it’s the return of SNL from its long holiday break. It’s the mid-season premiere of Saturday Night Live hosted by “The Marvelous Mrs. Maisel” herself from Amazon Prime, Rachel Brosnahan with musical guest Greta Van Fleet. Be sure to get plenty of sleep. You’ve got some late nights ahead of you this week. Andy Samberg is on Busy Tonight at 11pm on E!